I've got a new product review for you. 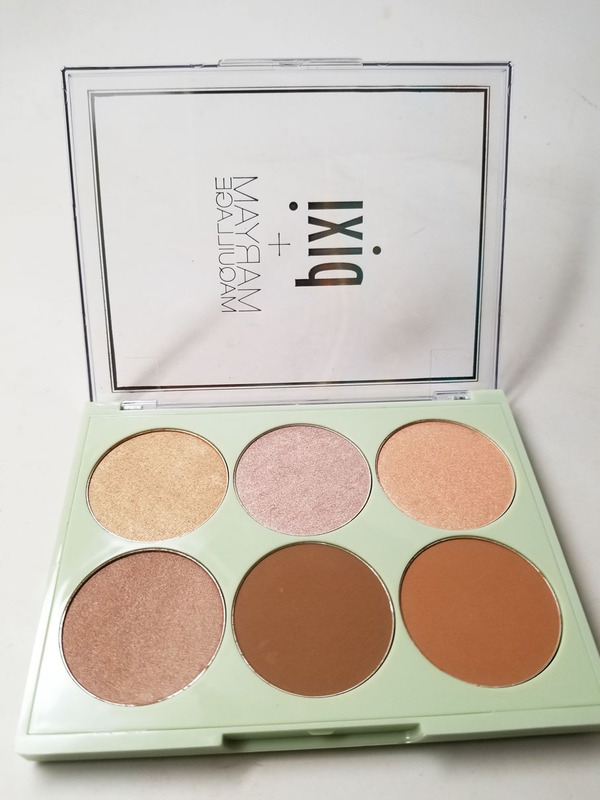 I've been playing with some new products by Pixi. 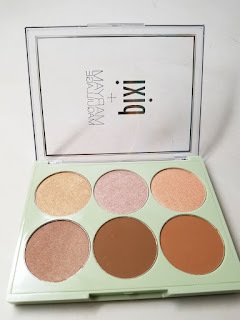 Up first is this contour and highlight palette made in collaboration with Beauty Guru Maryam Maquillage. It can be kinda tough for drugstore contour/highlight palettes to work for everyone. Does it pass the test? Check my thoughts below! First off, the pros. There is a pretty decent range of highlight shades...pink, bronze, rose gold and gold shades. The texture is actually very creamy to the touch. The higlighters surprised me because they looked like they wouldn't be that pigmented but they show up nicely on the skin. All the shades looked nice on my tan skin. The effect is more of a pearlized sheen which I favor over chunky glitter. Now for the contour shades. I noticed there were only two matte shades- a warmer matte bronzer shade and a cooler deeper contour shade. 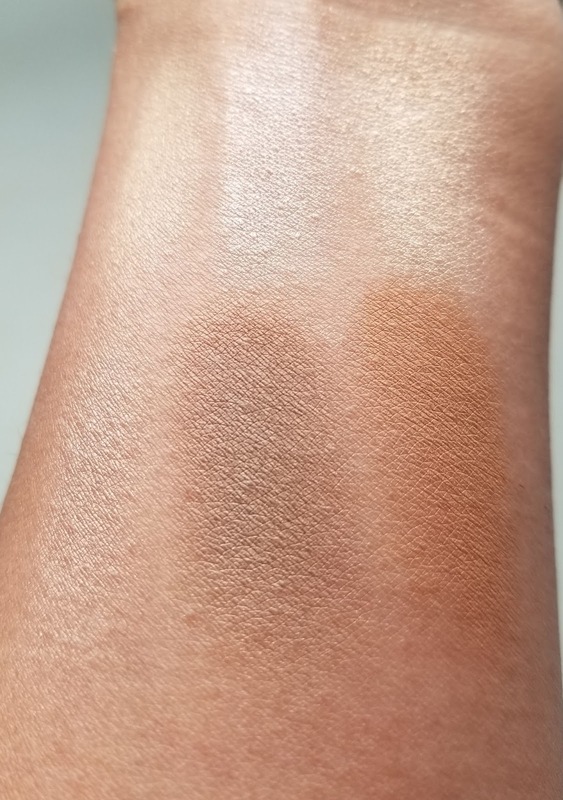 The bottom left is supposed to be a bronze shades but it swatches more like a shimmer highlight. I think they could have had one more true contour shade. The warm contour looks good to add a tan to the skin. It works well on my skin tone. I found the deeper shade to have almost a cool, green undertone. I don't prefer cool shades as a contour for women of color because it can go ashy. 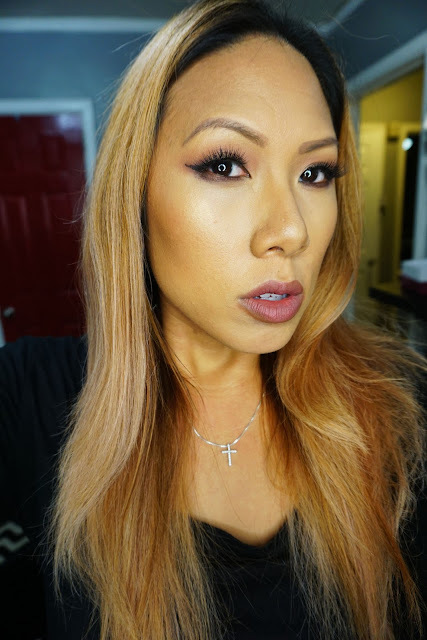 It works on me - I like it as a nose contour since I prefer a more natural shadowy look but for my face I would go for a deeper, warmer tone. I think this palette could use a deeper contour shade because right now it would only work up to tan skin tones. So I give it a 3 out of 5 starts. I can make it work but I wish it had a little more variety in the contour shades.